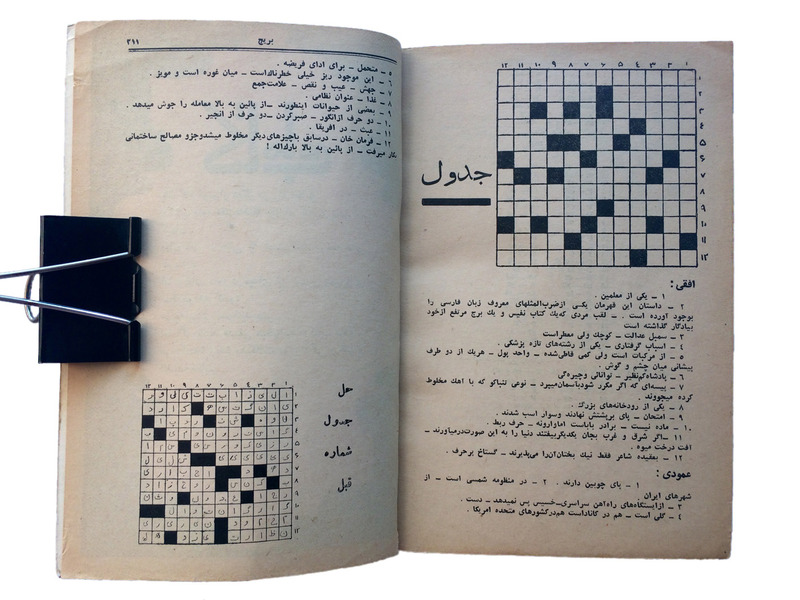 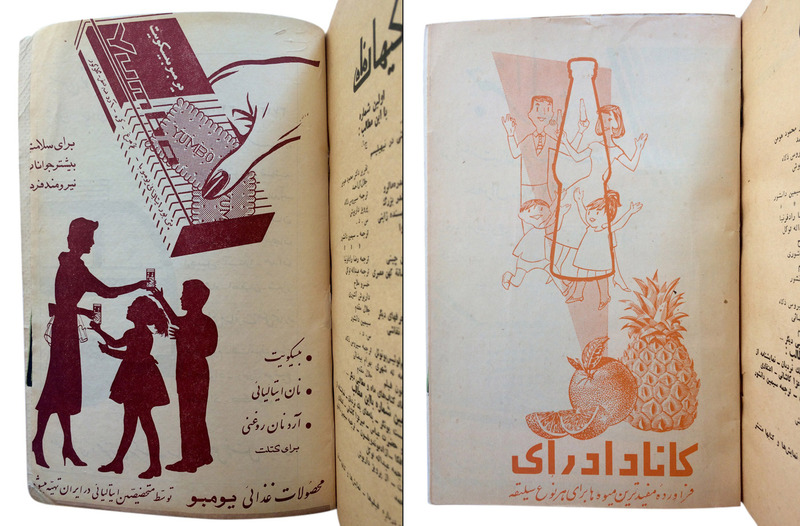 As the name suggests, ‘Book of the Week’ was a series of paperbacks that were distributed every week in Iran between the years of 1961 and 1963. 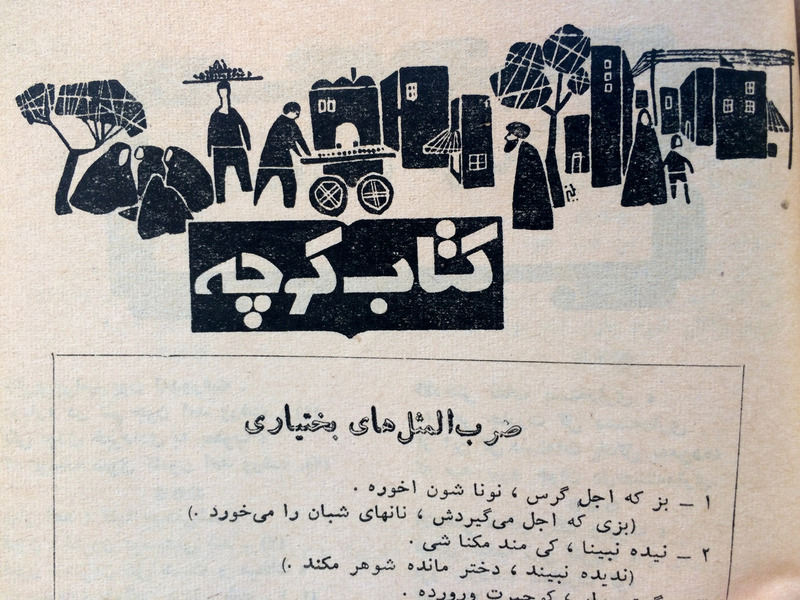 A product of the Tehran-based publishing institute Kayhan, the books gained a great amount of popularity among the general public by featuring literature from established writers, as well as publishing essays on a diverse range of topics such as science, culture, society, poetry and the arts. 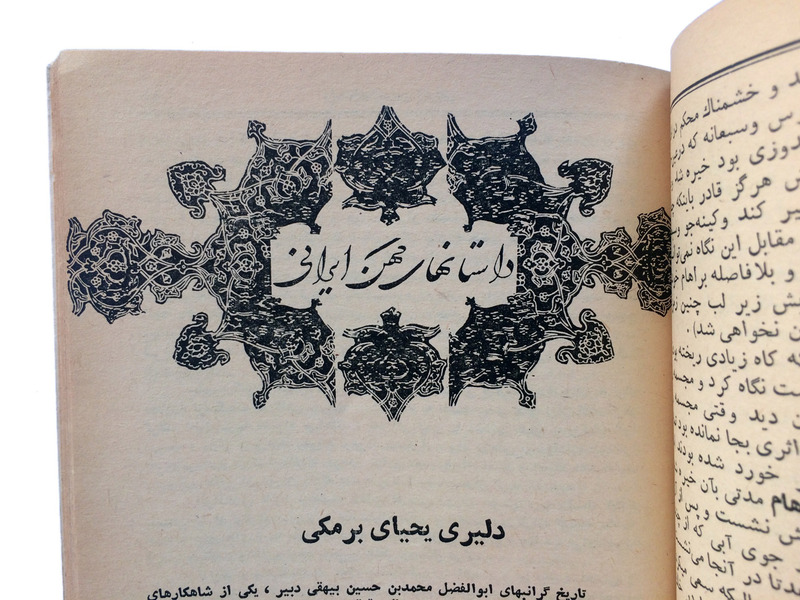 The influence of two prominent Iranian figures on the production of these paperbacks was significant in the reputation they gained as highly anticipated literary items. 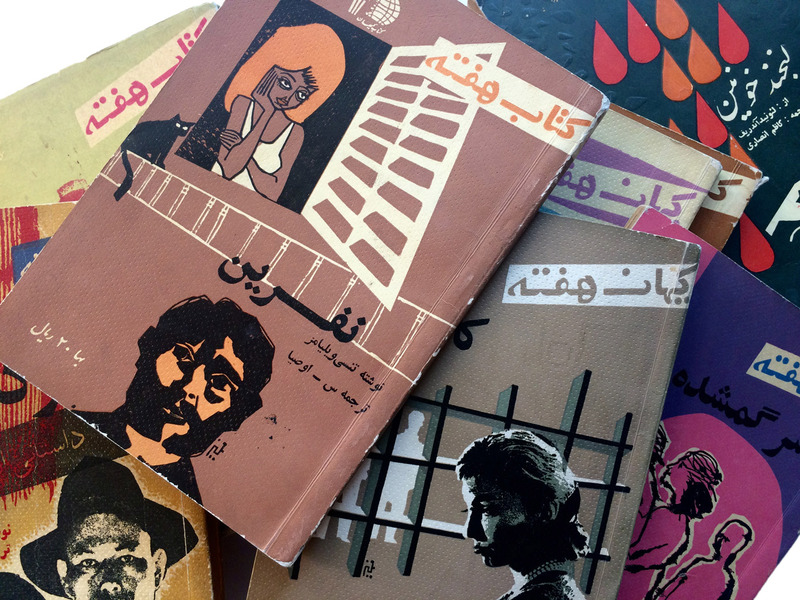 The first was the Editor in Chief of the books, Ahmad Shamloo. 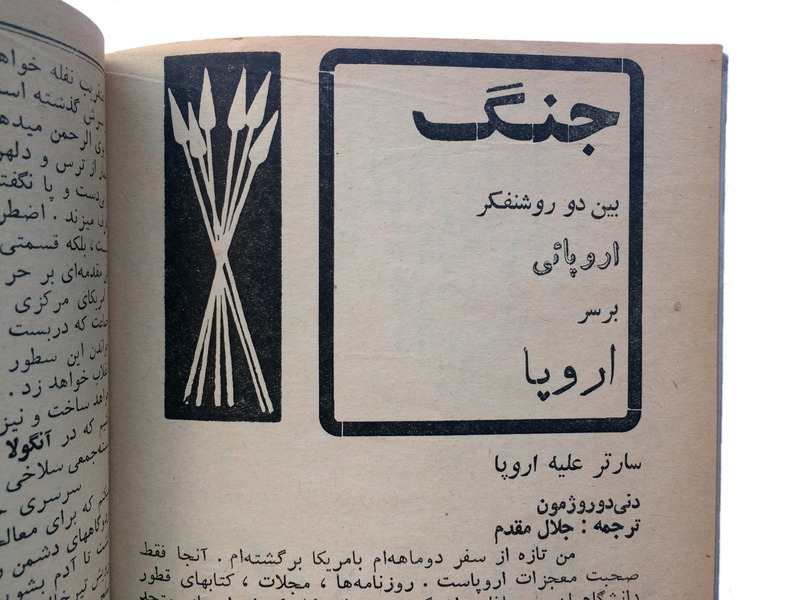 A distinguished poet, journalist, writer and translator, Shamloo was essential in the inception of the series, and dedicated much time to assure the high quality of the content. 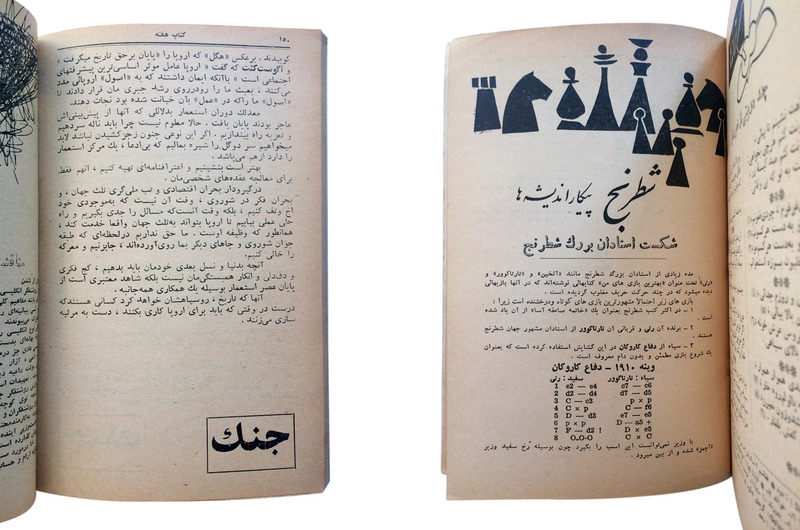 The second was Morteza Momayez, who is often referred to as the ‘father of graphic design’ in Iran. 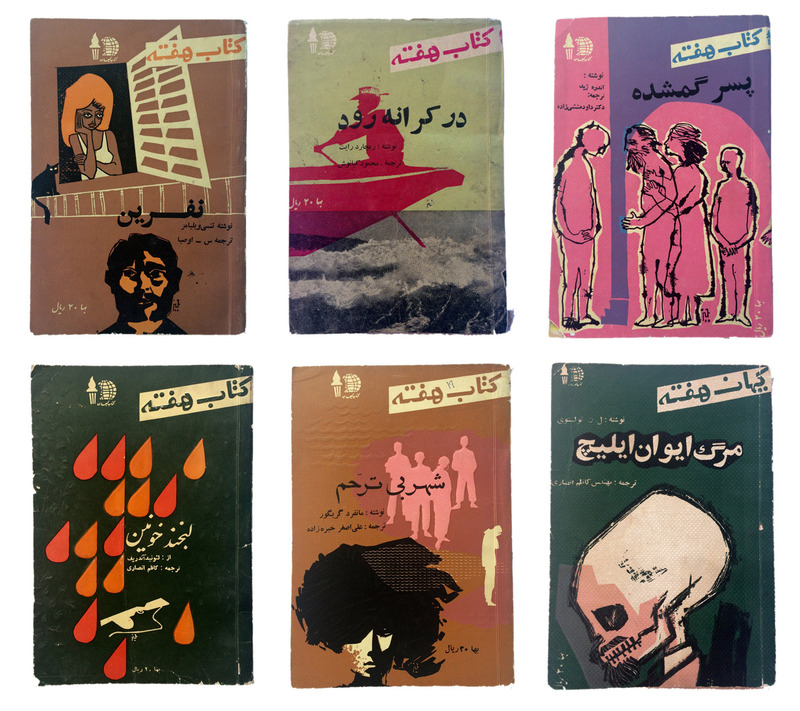 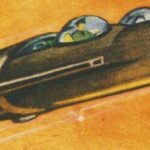 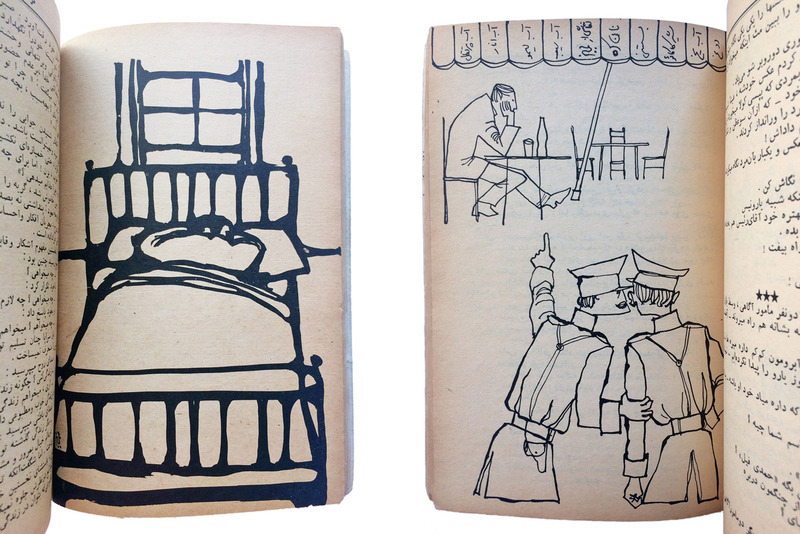 Momayez illustrated the majority of the artwork, and designed the layout and covers for the books. 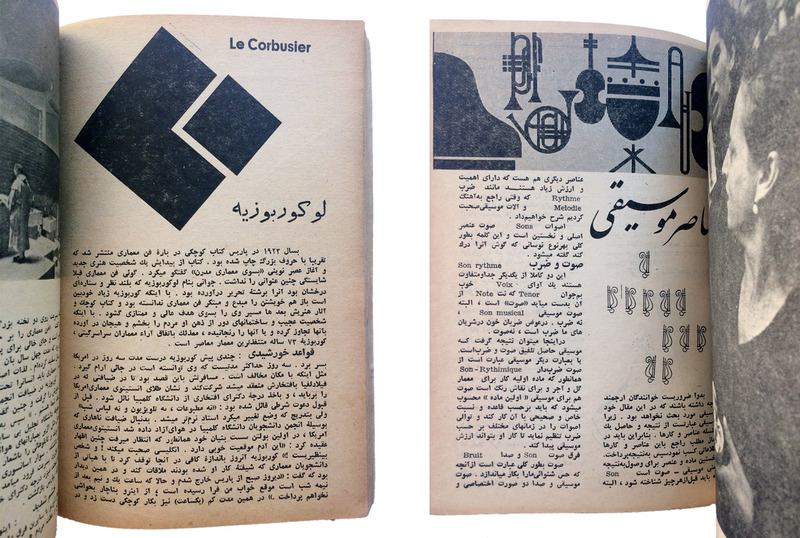 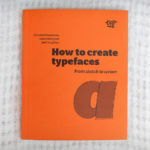 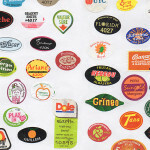 From a typographic lens, the books are filled with little gems such as Arabic drop caps (a rarity in any connecting script), a variety of typefaces from the hot-metal era and funky headline lettering. 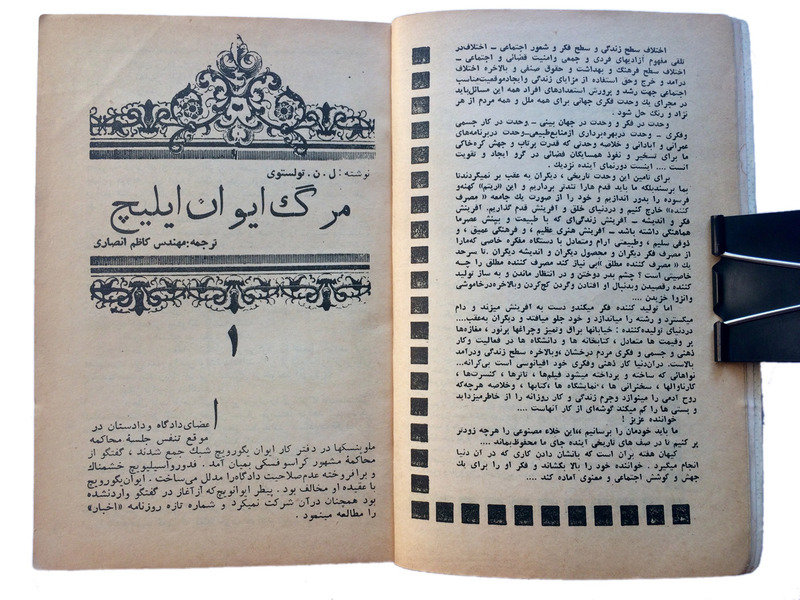 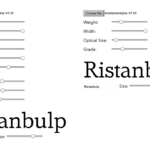 While the majority of text is set in simplified Naskh, for headlines, what appears to be Monotype Solloss is often alternated with a Naskh outline typeface. 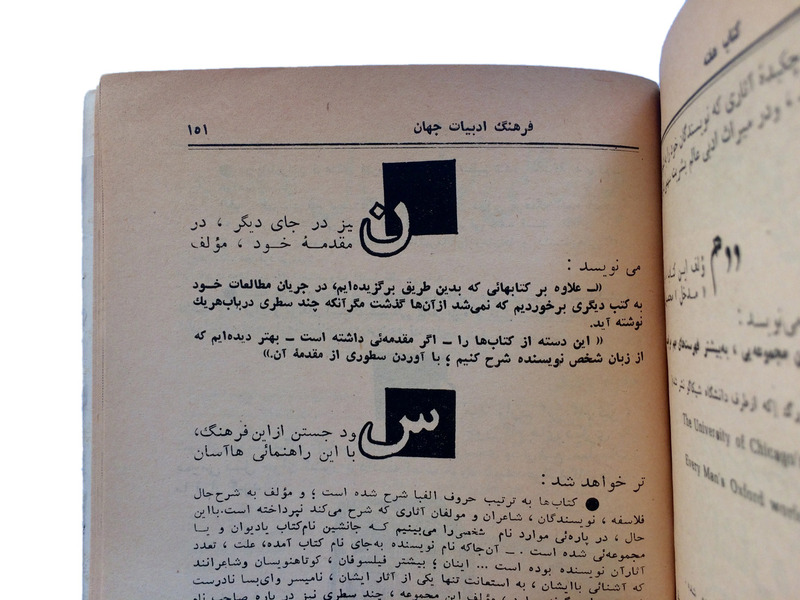 Also noticeable from some headlines is that the typefaces often do not cater to the needs of Persian orthography; this can be seen in places where the closest character from the Arabic alphabet has been used as a compromise.